Positive thinking ignores the “negative” truths we need to embrace. 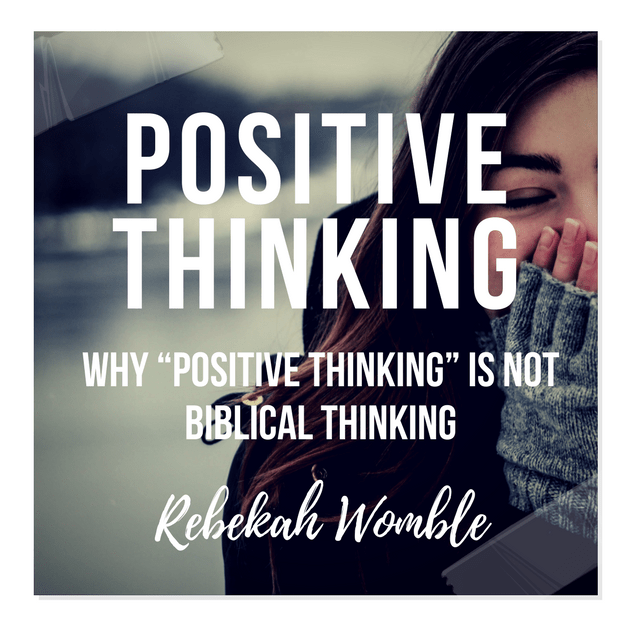 No one in his right mind could argue that the Bible is a “positive” book. Just a simple survey of its contents would debunk that. More of its pages are devoted to describing God’s judgment on Israel for their sins (the Old Testament prophets), than on pleasant descriptions of heaven. Jesus’ teachings were centered more on the reality of hell than most other subjects. Anyone who picks up the Bible expecting some light, happy reading is in for a surprise. However, that doesn’t mean that the main focus in Scripture is “gloom and doom.” It’s really all about the gospel–the good news of Christ’s glory and our reunion with God as His people through His work. But in order to understand and receive that good news, we need the bad news first. Consider Christ on the cross. Scripture teaches that to the unbelieving world, it is foolishness, an offense, a stumbling block. Surely the bloody crucifixion of Jesus is way too “negative,” right? Let’s just picture him as a nice, accepting teacher, rather than a bleeding Savior.